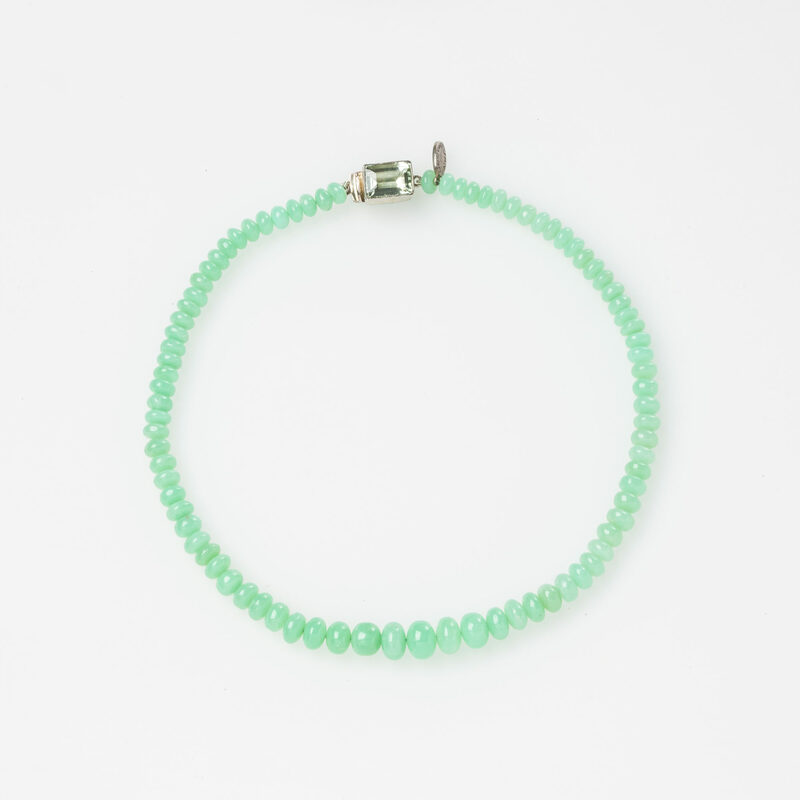 This simple, beautiful single strand necklace features natural evenly coloured smooth mint-green chrysoprase button/rondelle/beads. They are hand knotted and attached to a lovely light green quartz clasp, bezel set in sterling silver. Each Jane Magon piece is hand crafted and unique. Be the first to hear about sales and events. Sign up to receive 10% off everything online.